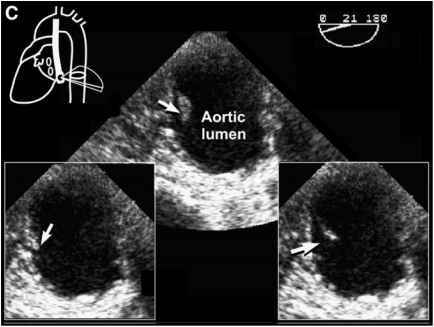 • Several sperm fuse with the zona pellucida, but only one sperm successfully penetrates the egg. 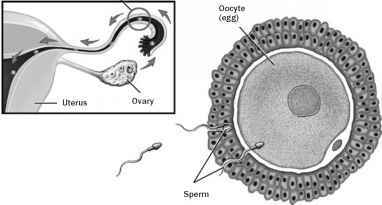 • The successful sperm sheds its body and tail so that only the head (containing the genetic material) actually enters the egg. 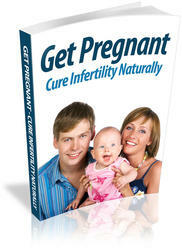 • When fertilization occurs, the newly fertilized egg starts to grow and develop into an embryo. • The embryo is propelled by the fallopian tube and begins its three- to four-day journey into the uterus. • Approximately two days after reaching the uterus, the developing embryo has about 100 cells. These cells then burrow their way and implant into the lining of the uterine wall. • A portion of the developing embryo makes contact with the mother's circulatory system and becomes the beginning of the placenta. The placenta will provide the embryo with a source for growth and nourishment.